QUIKRETE® Concrete & Masonry Gloss Sealer (No. 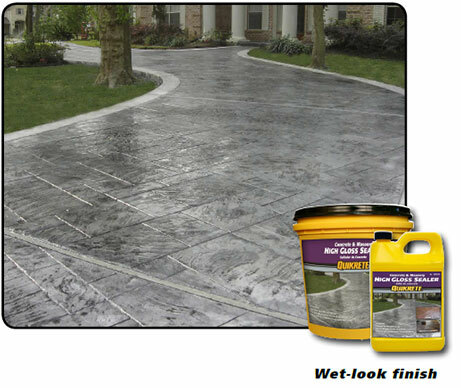 8800-06) is a water-based, high-gloss, acrylic clear sealer designed to seal, repel water, and enhance surface color. Apply at 200-400 sq ft. per gallon (9.3-18.6 m2) coverage will depend on porosity of the surface.